How Far is i5 Shanthi Park? 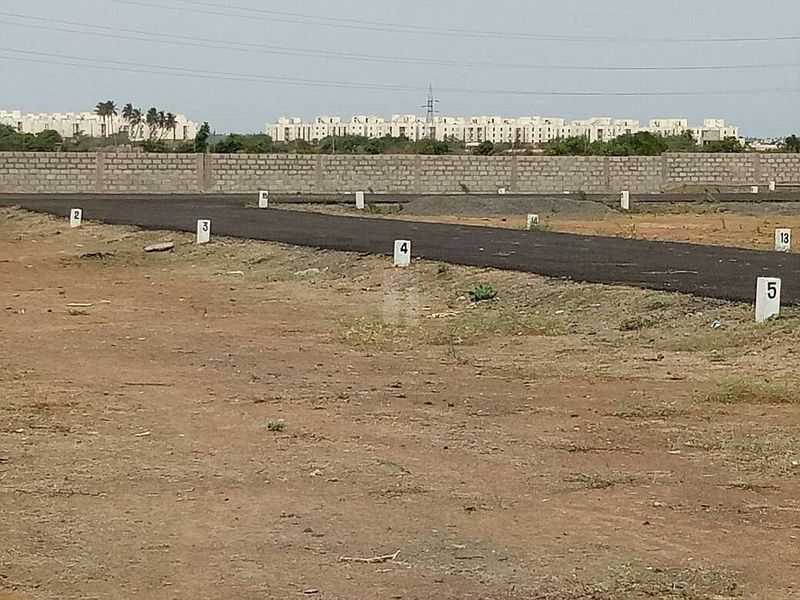 Shanthi Park - DTCP Approved Plots @ Thiruporur-Kalavakkam. SHANTHI PARK near to OMR road (200ft) and Back side Elevated railwaylines, Situated in Between Japanese Township and Siruseri IT Park. Strategically located between ECR Road,Old Mahabalipuram Road and also connectivity to GST ROAD. OMR (or) Old Mahabalipuram Road is positioned for appreciation in value & good rental returns with an observed YOY Price appreciation of 20–25 %. “SHANTHI PARK” being located just a couple of hundred meters from Old Mahabalipuram Road (OMR), at Kalavakkam, in the IT Express Way right in between the two biggest IT parks in Chennai, SIPCOT IT Park & ONE HUB and surrounded by 8000+ Residential Villa’s, Flats, Independent Houses with 10+ schools, 10+ Colleges, 15+ Hospitals within 15 Km Radius and in the right place with easy access to Thiruporur – Chengalpattu Link Road, OMR – ECR Link Road and Kelambakkam – Vandaloor Link Road to get around places with ease while awaiting Proposed by-pass and railway line just in reach and Sports city, Film city & Medical city just around the corner we could proudly say that it is a Never Ever Seen Property…!!! Amenities that we provide along with Nature’s gifts…!!! • Plots ranging between 600 sq. ft. and 4000 sq. ft. Commercial/Investment Value of the Plot that you are going to buy…!!! • 8.5Km from SIPCOT and 8 Km from ONE HUB collectively offer direct and indirect opportunities for more than a million People – which make our site the center of the Industrial HUBs which is helping it to gain incredible development opportunities and price appreciation and Rental Returns from both residential and commercial aspect. • 40 ft. Road access from OMR makes it commercially recognizable and accessible which would attract the attention of clients both residential and commercial value. • 12000+ Residences with independent villas, Houses and Flats are being developed within 1000m – which makes our site a good spot for startups and Retail Businesses. • Located under the linear development area between Old Mahabalipuram Road & East Coast Road – the two roads that got the best price appreciation in Chennai within the short span of initial development trigger by Government, which means guaranteed excellent price appreciation. Detailed Residential Value of the Plot that you are going to buy…!!! •Having a 40 ft. Road access to get you connected to OMR, would help you start the everyday driving routine effortless & easy. •Easy travel access to market places, shops, schools, colleges, clinics, hospitals and other basic necessities makes it a ready to occupy. •Well connected to the Entertainment Corridor (ECR), our site gives you easy stress free access to many clubs, theme parks and other entertainments to release the stress of week-long work pressure. Proposed Amenities around the Plot that you are going to buy…!!! •Major Transport Terminals within 45 Min drive by Road: Chengalpet Railway Station, Tambaram Railway Station, Chennai Airport, Chennai Mofussil Bus Terminus, Egmore Railway Station, Central Railway Station.